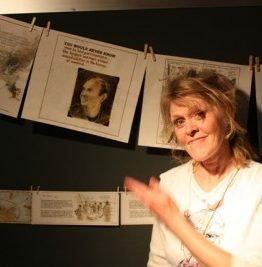 Carol Tyler is an award winning comic book artist/writer whose autobiographical stories reflect her struggles as an artist, worker, wife and mother. The legendary cartoonist Robert Crumb describes her work as having “…the extremely rare quality of genuine, authentic heart. Hers are the only comics that ever brought me to the verge of tears.” Cartoonist Chris Ware refers to her as “…one of the true greats of the original Underground Comix generation.” The acclaimed series You’ll Never Know was recently collected by Fantagraphics as Soldier’s Heart, and was nominated for a Los Angeles Times Book Prize. She lives in Cincinnati, OH.